Whether you own an iPhone or an iPad upgrading and downgrading the iOS forces it to undergo some common issues at times. If your iPad/iPhone got stuck in recovery mode after iOS 12 downgrade and you have no idea what to do. There are solutions worth trying and the right one fixes everything under the soon. To get you out of this iOS downgrade issue, we have amazing solutions for you. Keep reading the article to understand how to fix iPhone X/XS/8/7/7 Plus/6/6/5s Plus and iPad models' issues related to iOS 12.2/12.1/12 downgrade. If your iPhone is stuck on iTunes logo and won't restore, you can manually try getting it out of recovery mode. You need to first disconnect it from iTunes, in case connected. •	Instantly tap and release the 'Volume Up' button and followed by the 'Volume Down' button. Press the 'Sleep/Wake' button till the Apple logo glows on screen. •	Push down the 'Sleep/Wake' and 'Volume Down' simultaneously, until the Apple logo appears on screen. •	'Home' button and 'Sleep/Wake' buttons need to be pressed together unless the Apple logo glows. For resolving iPhone/iPad stuck in recovery mode after iOS 12 downgrade you can look for an ultimate solution like Any iOS System Repair (ReiBoot). It has 'Exit recovery Mode' feature which helps you get your device out of the problem without causing any possible data loss. In case it doesn't solve the issue, adopting the 'Repair Operating System' feature, you can resolve all iOS issues across all iPad and iPhone models. Whether your iOS device is frozen, stuck on Apple logo, or became unresponsive, Any iOS System Repair (ReiBoot) can get it back to life, without much efforts. It fixes all iOS upgrade and downgrade stuck issues within no time. 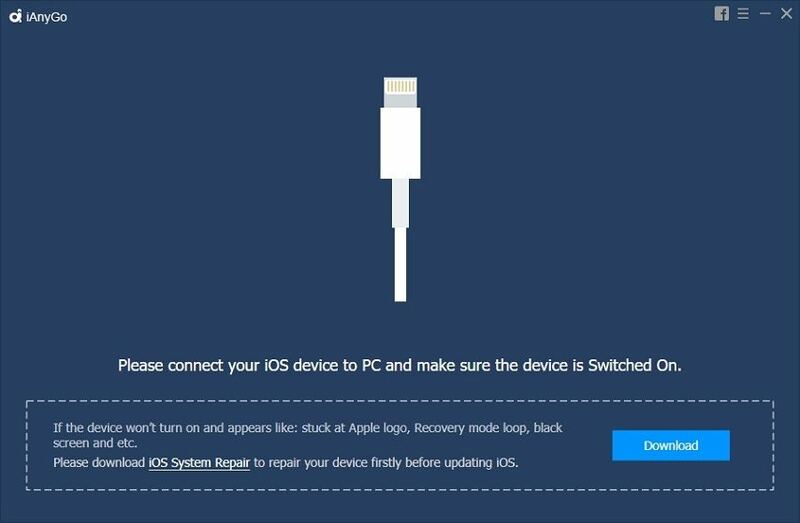 Step 1:	Install and run Any iOS System Repair (ReiBoot) on your system, and then connect your iPhone through a USB cable. Now, tap 'Exit Recovery Mode' to get your iPhone back to normal. Your iPhone reboots and fixes all the underlying issues. Step 2:	If by any chance the above method failed to work, you can opt for 'Fix All iOS Stuck' method. Hit on the 'Repair Operating System (Fix All iOS Stuck)' option. It will take you to the next window. Step 3:	Now, hit on Download from next window and click on 'Start Repair' after the download is complete. Wait a while to get all the iOS issues resolved and find your iPhone back in life. 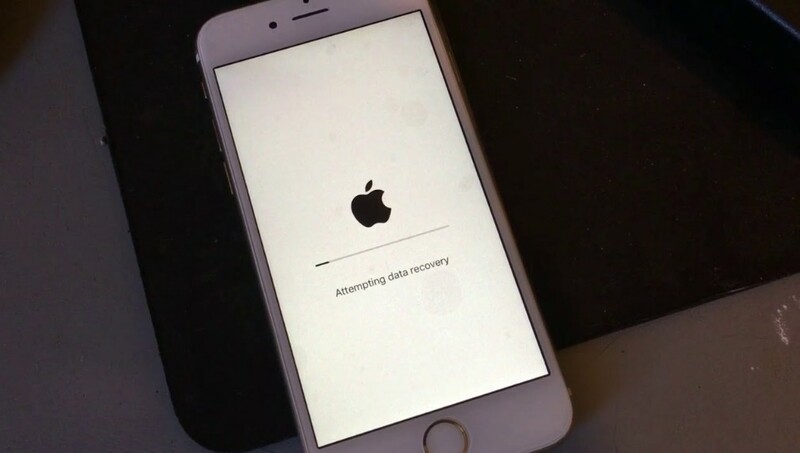 When you want to try opting for a traditional method to fix iPhone stuck on connect to iTunes screen after iOS 12 downgrade, in this process you will lose all content and the iPhone gets restored back to normal. 1. Make sure that iTunes has been updated to the latest version. Then follow the process mentioned in the manual method of getting your iPhone from recovery mode but keep holding the buttons till you pass the 'Apple' logo and see 'Connect to iTunes' show up on screen. 2. You need to get your iPhone connected to the PC and then tap 'Restore'. Within few minutes, latest firmware for your iPhone gets downloaded on your device. 3. Now, you have to setup your device from the scratch using your Apple ID credentials. In case you are stressed a lot to grab hold of the situation and fix iPhone stuck on connect to iTunes screen after iOS 12 downgrade issue for once and all. You need to go for iAnyGo. It can seamlessly fix iOS 12 downgrade issues for all your iPhone and iPads. It can restore your iOS device without iTunes, apart from preventing iOS device stuck issues during upgrade or downgrade of iOS. You don't have to worry about the IPSW file to downgrade your iOS, as iAnyGo can do away with that. Even if you don't have a developer account, the software helps you acquire beta iOS on your iPhone/iPad with multiple upgrade and downgrade facility, until the software is signed by Apple. There is no data loss with iAnyGo. 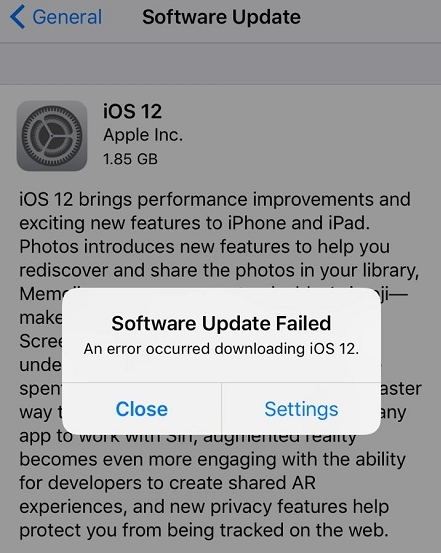 From the above article, we found that iPhone got stuck in recovery mode after iOS 12 downgrade can occur at any point of time and leave you helpless. But, till you have Any iOS System Repair (ReiBoot) and iAnyGo with you, there is nothing to stop you. You can easily upgrade or downgrade the iOS, without any restrictions.